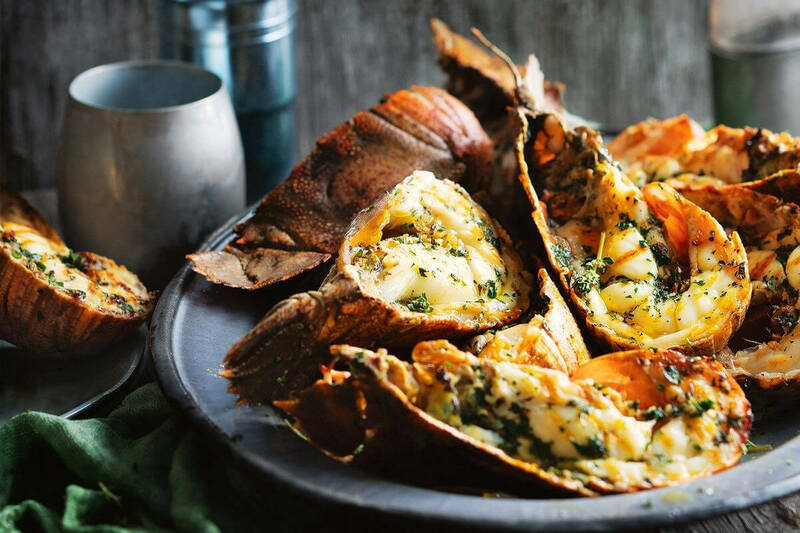 Herb and garlic loaded butter makes these Moreton Bay bugs even more irresistible, and only takes a lick of heat from the barbecue to cook. Preheat a barbecue with a lid to medium-high. For the herb and garlic butter, combine all ingredients in a bowl, season and stir to combine. Cover with plastic wrap, then chill until ready to use. Bring to room temperature before serving. Place the bugs on a tray, cut side-up, then drizzle with oil and season. Place bugs, shell side-down, on the barbecue. Close the lid and cook for 6 minutes or until almost cooked through, then turn and cook, flesh side-down, for 1 minute or until lightly charred. Transfer bugs to a platter. Brush some of the butter over the bug flesh. Serve bugs with remaining butter and lemon wedges on the side.